NAR and Florida Realtors to Create Repeat Sales Index: Why? Last week the Florida’s state Realtor association announced they are developing a repeat sales index for tracking the state’s housing market. NAR is doing the same thing on a national level. My first thought was, huh? 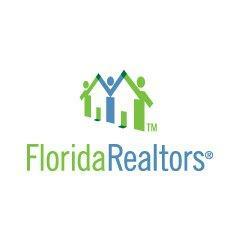 The new Florida Realtors Real Estate Price Index will use data from the Florida Department of Revenue to chart home prices for the state and metro areas during the last 17 years. Why create yet another housing index? NAR has been sharply critical of the repeat sales methodology for years – and now to suddenly create one because it works better? Damaging logic and once again undermining NAR’s credibility and branding. The motivation for the creation of a new index seems to be the popularity of the Case Shiller Home Price Index which has been a thorn in NAR’s side since it was introduced a number of years ago. Ironically, NAR enabled Case Shiller to thrive from NAR’s own inability to become a neutral trusted advisor of the exclusive housing data they publish. The culture at NAR Research enabled the two most recent chief economists Lereah and Yun to consistently interpret the numbers with an almost cartoonish glowing angle that has caused severe damage to the NAR brand. In other words, Realtors and their associations have long ago missed the opportunity to be a reliable provider of real estate stats, but that’s really ok. After all, the association is a trade group and any stats they produce are, by definition, tainted even if they aren’t. Case in point: NAR just revised their Existing Home Sales stats after data provider CORElogic discovered there was a significant error and pressured them to do a revision. NAR had double counted about 2M sales since 2007. What is a repeat-sales index? A repeat sales index measures the difference in price from sales that recently sold and their prior sale. New development is omitted because those units have never sold before – a huge characteristic of the Florida housing market. Of course if the property was gut renovated, doubled in size, torn down and rebuilt, a repeat sales index does not know this. A repeat sales index is also subject to the same skew in housing type that a hedonic (i.e. Existing Home Sales) index is and is therefore adjusted using varying formulaic methodologies. A repeat sales index does not reflect true seasons in housing. Yes there is a nominal difference between their seasonally adjusted and non-seasonally adjusted trends, but it does not show the spring rush and winter doldrums as they actually occur. There seems to be a need by economists to show a steady line rather than a seasonal visual a consumer would better understand. Whats wrong with the Case Shiller Index? it excludes co-ops, condos and new development. I do admire Robert Shiller and Karl Case as pioneers in this field but the CS index was NEVER intended to be a consumer tool used to measure housing. It was meant to be the basis for allowing Wall Street to hedge the housing market. A logical goal indeed, but CS was conceived before it was feasible to “game it” i.e. many economists and analytics firms can now accurately project the results of the index in advance. Not a good thing for investors who want to bet on it which explains why such limited trading actually occurs. There are a lot of housing indices these days. There are also many new data companies that can do analytics a lot better than Realtors can because they only do analytics for a living. Without neutral commentary, how do more housing indices by NAR or Florida’s association make the picture any clearer to the consumer (and Realtors)? Instead I think the Florida association should be focusing on ways to help their members be more successful.